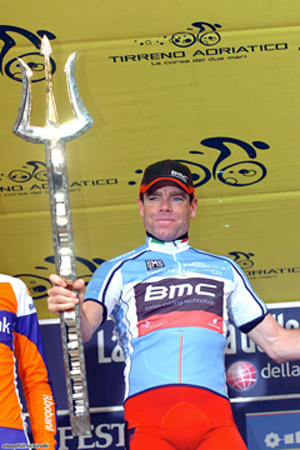 I had a good feeling after stage 6 of Tirenno-Adriatico that Cadel Evans could pull off the overall. He did that on stage 7's TT ... and more. 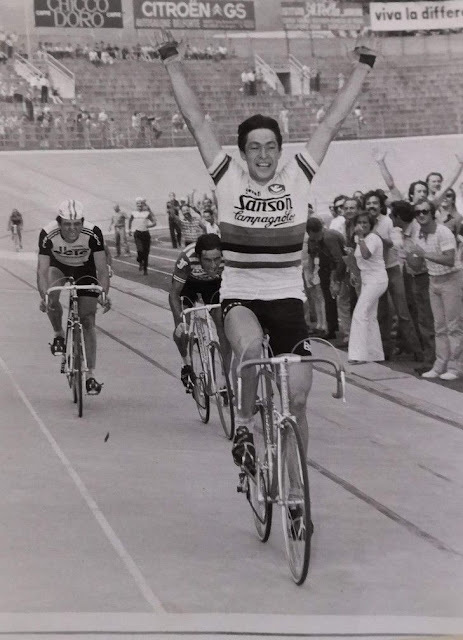 Evans' amazing win up into the scenic town of Macerata placed him into the new position as the man to watch. The next day, he clinched the overall by 11 seconds and took his first race of the season in front of Robert Gesink. I wasn't surprised that Monsieur TT, Fabian Cancellara won the stage. 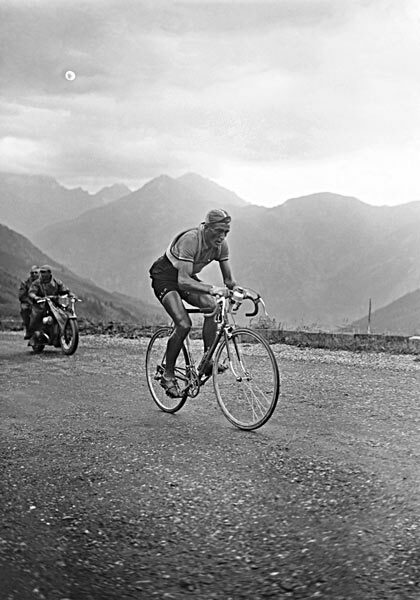 Hard to believe that Evans last stage race win was back in 2008 of the Settimana Coppi Bartali. 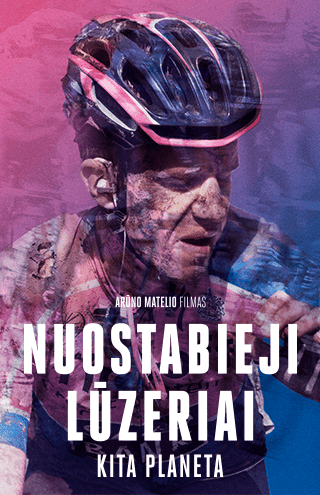 He is on top of the international cycling world rankings sharing with Paris-Nice winner, Tony Martin. The Aussie certainly is setting his goals for this July at the Tour. Could it be his last chance at the big one? It may be, but I have a good feeling Evans will be there when it counts! Today was the semi-classic Belgium race, Nokere Koerse and Team Spidertech is fitting in nicely, thank you very much. 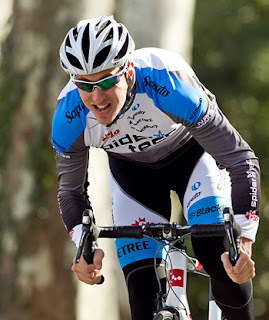 Spider, Keven Lacombe sprinted to 8th overall giving the Canadian based team a huge positive result. I can see a win coming!